Everybody loves a parade! 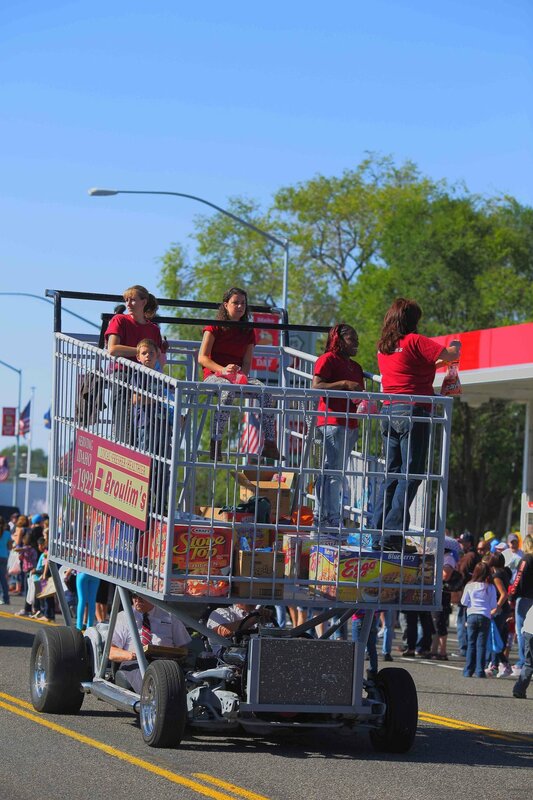 The Idaho Spud Day parade is a wonderful event for the whole family. 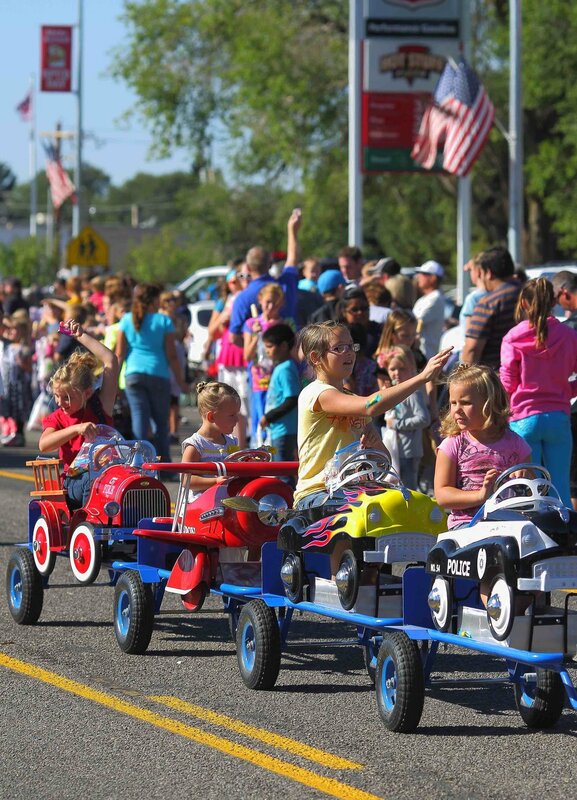 With floats, marching bands, community businesses, clowns, and lots of fun for the kids, the parade is an event that you simply should not miss. Check out the pictures from previous parade below! How do I participate in the parade? September 15th, 2018 at 10:00 a.m. This year’s theme is “Russet Boot Camp.” Judging takes place from 8:30 to 9:30 on Byron Avenue, so arrive early for staging information and line-up instructions. Prizes will be awarded for 1st and 2nd place in Commercial and Non-commercial Categories. Best Theme grand prize is $250, and the 1st and 2nd place prices are $100 and $50 respectively. 1. All entries must be decorated around the parade theme: Russet Boot Camp. 2. A registration form needs to be filled out for each entry in the parade. 3. All commercial entries need to pay a fee of $30 when they register. This is a per vehicle/entry fee—if you are entering more than one vehicle you need to pay $30 per vehicle. Payment must be in the form of a check. 4. All registration forms and fees need to be submitted and postmarked by September 1st. Fees for commercial entries postmarked after September 1 will be $50 instead of $30. Fees are non-refundable. 5. If we do not have your entry by Friday, September 14, you will not be allowed in the parade. 6. Non-commercial entities such as Shelley school and city entries and special guests (Grand Marshall, Miss Russet, Uncle Sam) do not need to pay a fee. If you are unsure if your organization is commercial or noncommercial, please contact Tim Jones before sending in the registration form and payment. 7. We recommend that entries hand out candy instead of throwing it from the float. 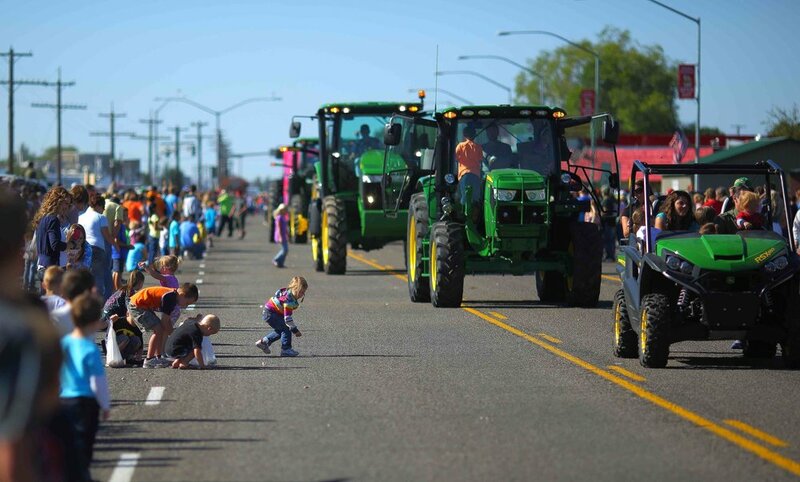 If you do throw candy from your float or vehicle, please make sure you throw it into the crowd instead of onto the street. 8. Riders are not to jump on and off your entry during the parade. 9. Your entry needs to keep moving. Do not fall behind the entry in front of you. 10. Your entry needs to keep moving even after the parade is over. Do not stop on Oak. We recommend floats return to Locust or Pine before unloading. Please alert parents who are picking up kids about where you are stopping. 11. 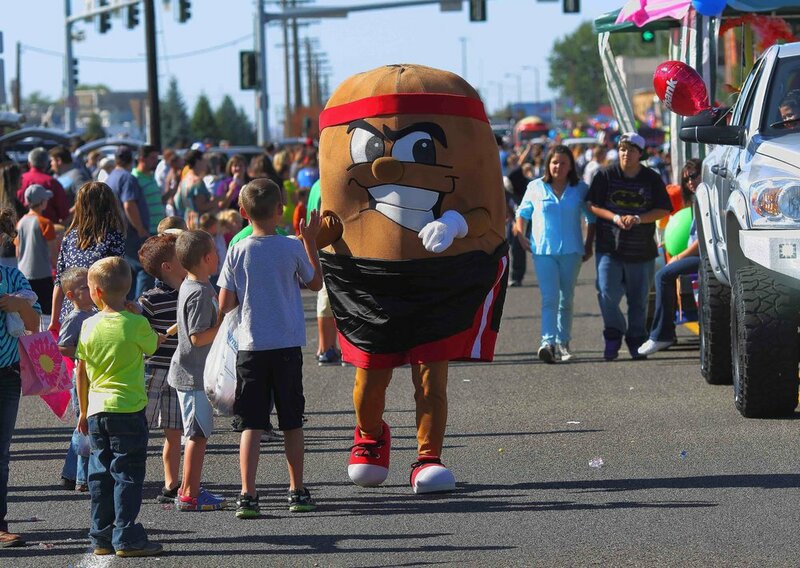 All individuals in the parade need to comply with the directions of the police, parade judges, and Spud Day Committee members. 12. The Spud Day Committee and the police reserve the right to monitor &/or exclude entrees based on the appropriateness of the content. 13. As the primary contact person, you are responsible for alerting everyone on your float/entry about these rules. 14. Please be aware that noncompliance of any of these rules may result in your inability to be involved with the parade in future years. If you have questions regarding the Spud Day Parade, please fill the form below email us at Spuddayparade@gmail.com.